In this file photo, Wendy Williams hosts the Thurgood Marshall College Fund 28th Annual Awards Gala on November 21, 2016 in Washington, D.C. The talk show host fainted live on air Tuesday after "overheating" in her Halloween costume. 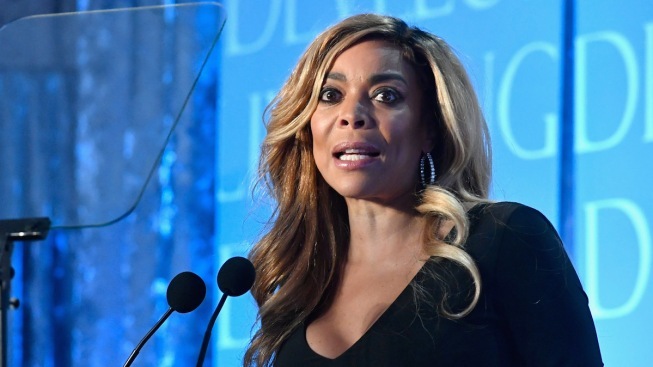 Talk show host Wendy Williams blamed her Halloween costume for causing her to overheat and faint live on air Tuesday. The former radio DJ was dressed as the iconic Statue of Liberty, donning a long-sleeved jumpsuit embellished in green sequin for the "Wendy Williams Show" Halloween episode. Toward the end of the one-hour show, Williams, standing at a podium to introduce the contestants of the show’s annual Halloween costume contest, began to stumble over her words before trembling then collapsing on the floor. Members of her staff could be seen running to her aid as her audience gasped. The show cut to a long commercial break and returned to air five minutes before it was scheduled to end. "That was not a stunt. I overheated in my costume and I passed out," the 53-year-old Williams told her "co-hosts," addressing the incident. "But you know what, I’m a champ and I’m back." Williams appeared to be OK as she presented the winners of the "How You Booin" costume contest before producers signaled for her to close the show.